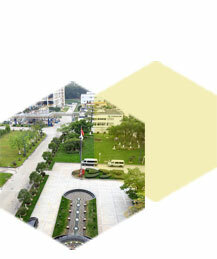 ●Xiamen Doingcom Chemical Company Limited was established. ●Haicang Plant commenced production and greatly enhanced the production capacity and processing ability of natural essential oils. ●Technological enhancement project of Haicang Plant was completed. The Group’s annual processing volume of botanic essential oils was increased to 9,500 metric tonnes. Accredited “High Technology Industrialization Model Project of the State” by the State Development and Planning Commission. Set up Enterprise Technology Engineering Center which was accredited as the Forestry Chemicals Industrial Technological Research and Development Center inFujian Province. ●Obtained ISO9001:2000 and ISO14001 certifications. ●Completed expansion of production facilities in October 2004. Annual processing volume of botanic essential oils increased from 9,500 to 11,000 metric tonnes. ●Completed stage 1 of phase II expansion. Annual processing capacity of botanic essential oils increased from 11,000 to 16,000 metric tonnes in October 2005.